Product design (2) – use any one of the vast range of new materials available – concrete, ceramics, plaster, textiles ……. 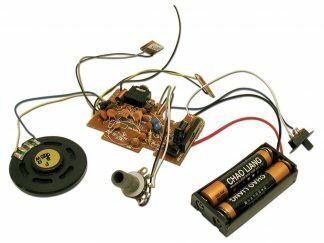 Application notes: Any music source that drives a small earpiece is suitable for this project. The amplifier is fitted with a 3.5mm socket so that a standard lead from MP3 player etc. can simply be plugged in. An external socket can be soldered to the board. Volume is controlled at the player end itself. 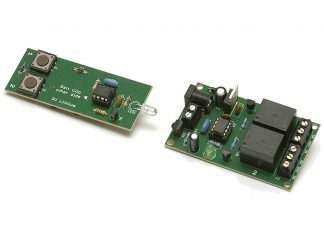 Power requirements: The amplifier can be used with a wide range of batteries – e.g., small PP3 (9v) or 4D cells (6v). Batteries capable of supplying higher currents give better sound and less distortion at high volumes: a four AA battery pack is ideal. Any PSU designed for audio applications is also ideal. Board includes battery snap. 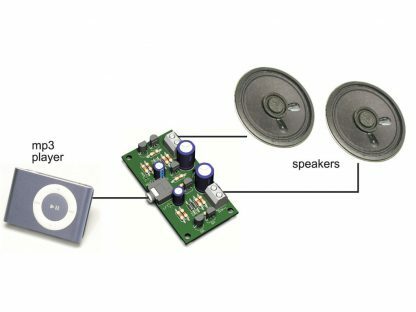 Loudspeaker requirements: The amplifier can be used with any size loudspeaker in the 4 – 8 ohm range. The use of lower impedance speakers accentuates base sound – but these are less common. If more base sound is required, one method is to use two 8 ohm loudspeakers connected in parallel for each channel. 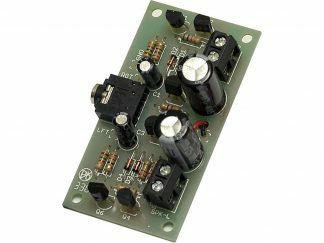 It is worth either installing an ON/OFF switch or making sure your batteries are disconnected when not in use as this circuit will continue to draw current.